From the University of Virginia, "U.Va. Law Professor Michael Klarman's Book Explores Uneven Road of Racial Equality in America," 19 November 2007 — In his new book, “Unfinished Business: Racial Equality in American History,” University of Virginia law professor Michael Klarman traces the long and turbulent history of race relations in America. 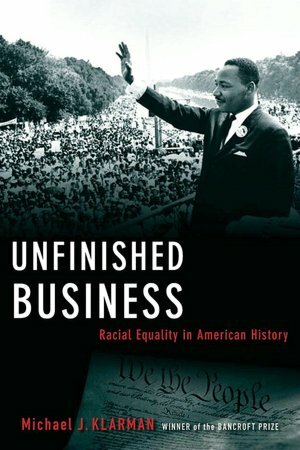 The book follows up Klarman’s “From Jim Crow to Civil Rights: The Supreme Court and the Struggle for Racial Equality,” which in 2005 won the prestigious Bancroft Prize, one of the most coveted honors in the field of history. In his book, published by Oxford University Press, Klarman looks at a judicial system historically in tune with the mores of the times. “It used to be accepted throughout the United States that holding property in human beings was OK,” Klarman said. “That wasn’t just a Southern view; if you go back before the Revolutionary War, it’s what most Northerners thought,” he said. 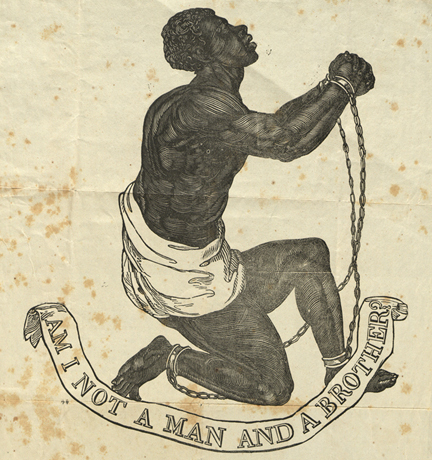 As Klarman points out in his book, even Quakers in Pennsylvania held slaves. “Unfinished Business” also shows how politicians and judges are driven by popular opinion to modify or abandon their own beliefs. “For us it seems obvious: The right thing to do was to end slavery, but it was always much more complicated,” Klarman said. He explained that this attitude continued well into the 20th century. Franklin Delano Roosevelt understood that “if he had promoted civil rights legislation it would have destroyed his administration. You can pursue your own agenda, but if it’s unpopular it could ruin your capacity to get anything else done,” he said. Klarman noted that, in the aftermath of Brown, widespread exposure in the media, particularly television in the 1960s, helped galvanize public opinion in favor of integration and against the violent resistance of white supremacists. “What mattered hugely was that in 1963 everyone had a television and in 1953 almost nobody did. I think it’s very possible that the Civil Rights Movement plays out very differently had it not been for television,” he said. Now, according to Klarman, the emergence of a large and growing Latino-American population nationwide and Asian-American population in the West complicates the issue for African-Americans. “We’ve seen in the last couple of election cycles both parties trying hard to adopt policies that were seen as attractive to Latinos. They have become the swing voters from the perspective of the Democratic and Republican parties. That disadvantages African-Americans [because] the Democratic Party can take black votes for granted,” he said.